30 something, mother of one, trying to learn and make as many craft items as I can! I love learning new things and especially love playing with fibers. My latest crafty passion changes often but I always come back to the ones I love. 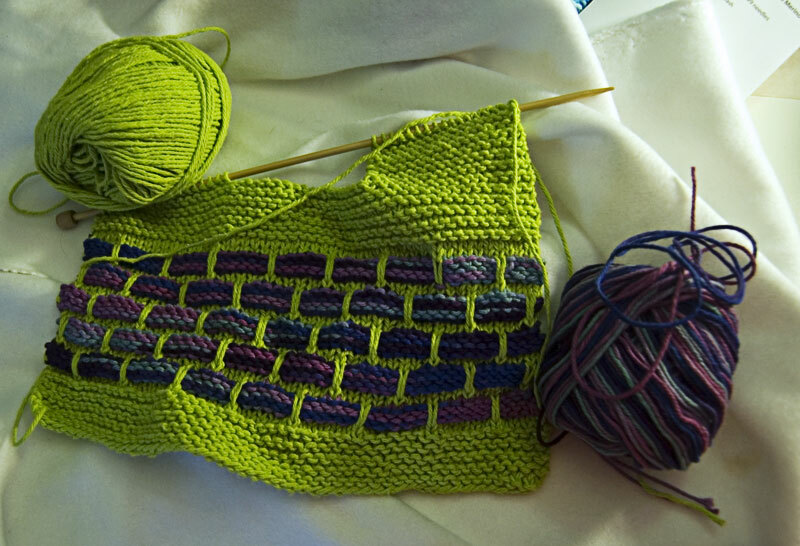 I've done knitting, sewing, crochet, quilting, beading, flameworking, wirework, photography, painting, pastels... and so on and so on. Wow I hadn't realized it had been over 2 months since my last post. Wrist is doing better but I found that if I'm on the computer for too long it aggravates the wrist so I've been trying not to stay on the computer for too long. As kind of a bonus for avoiding the computer my migraines have actually been reduced. So it looks like my computer time was not really good for me. 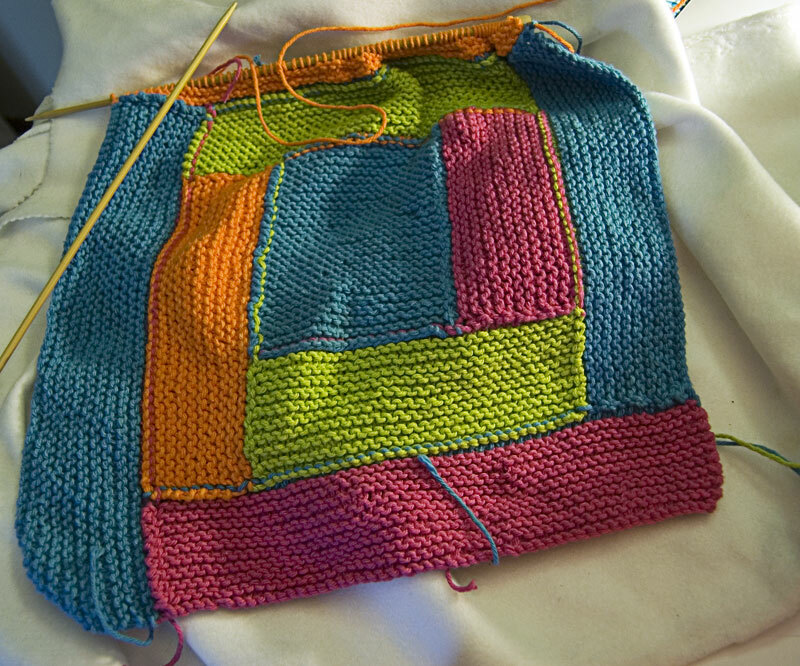 Sadly this means though that I'm not on Ravelry as much as I would like (I could spend hours on that site and have) nor will I be able to update on here as much though I'd like to get back into making at least more than 1 update a month. On the plus side of less computer time is I've been finishing up a lot of WIPs and spinning like crazy, now I just need to get some pictures taken of the FOs so I can share them. So I'm probably going to be a little silent on the blog end of things for a month or so. Tom made me go see the doc because I kept complaining about my wrist. It would be fine in the morning and most of the day but in the evenings especially when it was time to sleep it would hurt something fierce which probably means it was hurting during the day too but usually I don't notice pain if I'm busy its the down times that get me (if only this worked with my migraines!) So the doc said I have tendinitis and possibly carpal tunnel so I have to rest my wrist for at minimum a month. Obviously since I'm in school and taking an on-line class I can't completely avoid the computer but I'm suppose to use it as little as possible. We're looking into cheap ergonomic solutions since we can't afford to go out and by me a whole new setup but my computer setup right now is probably the most ergonomically incorrect. 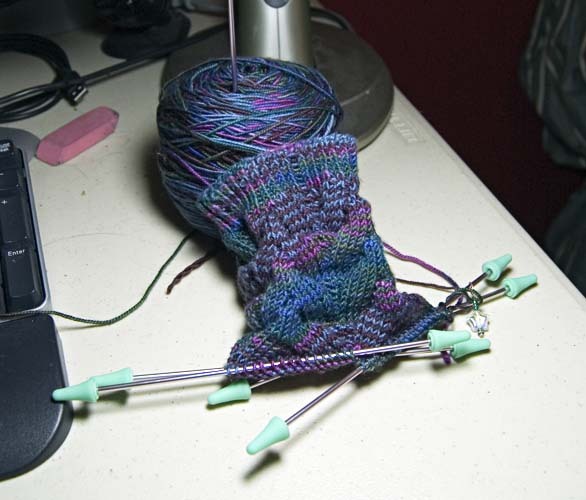 In addition and this is what makes me want to cry I have to cease any knitting, spinning and any other of my hobbies that put strain on my wrist, in other words all my hobbies. Poor Tom, he's going to have a very bored Mikey on his hands. Why do textbooks have to be so dry? My last term at PCC started this week and man I can tell this one is going to keep me on my toes. One of my psych classes expects a 2 page, single spaced paper every week. (well she does give us a break at the end but only because we have an even larger paper due as our final) She does this in lieu of exams but man I'd rather take the exams. So I have this class on top of three more and it looks like all of them are pretty homework heavy with lots and lots of reading... ugh! I think my hobbies are going to be severely neglected for the next three months. I will be looking forward to the Thursday get togethers as my escape. The plus side is after this term I will have my associates and be done with PCC. 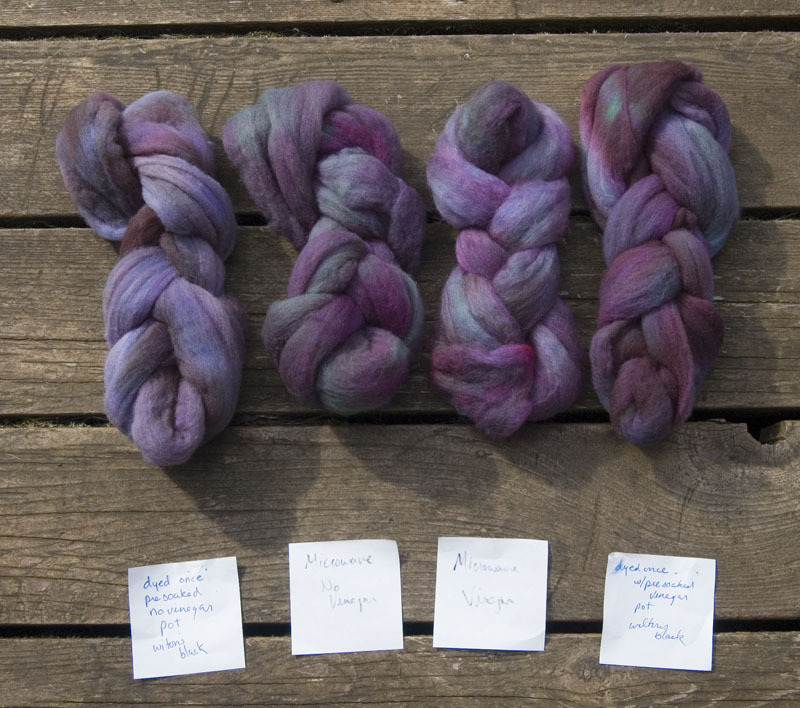 And even more dyeing results. 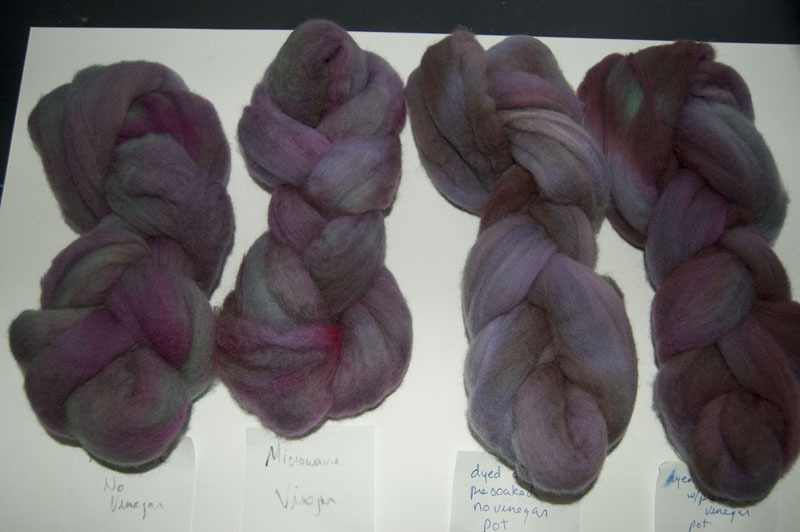 Its a silk mohair blend, Douceur Et Soie. This may also account for the subdued affect as well. 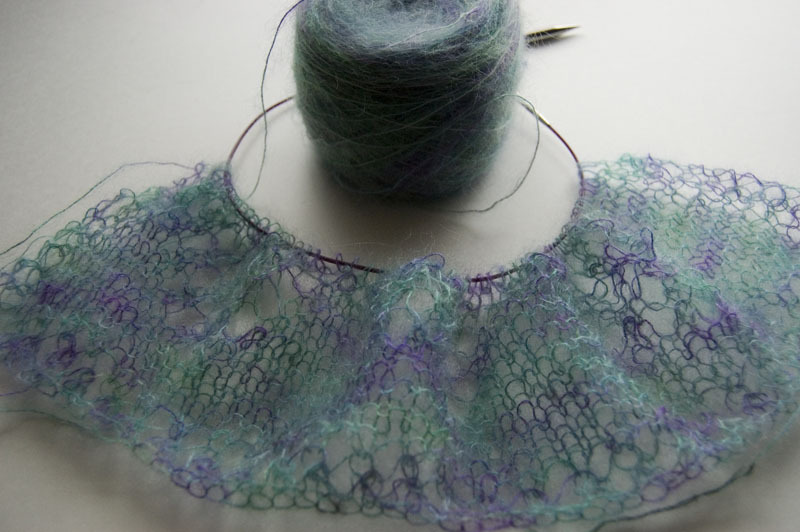 Still I'm pretty happy with my results and have started knitting this lacy wrap out of it. The wrap seems to show the colors a little better. They also allowed us to bring our own fibers as well to try so I brought some roving but unfortunately ran of time and this is what I ended up with. Still I think it may end up pretty interesting once I spin it up. 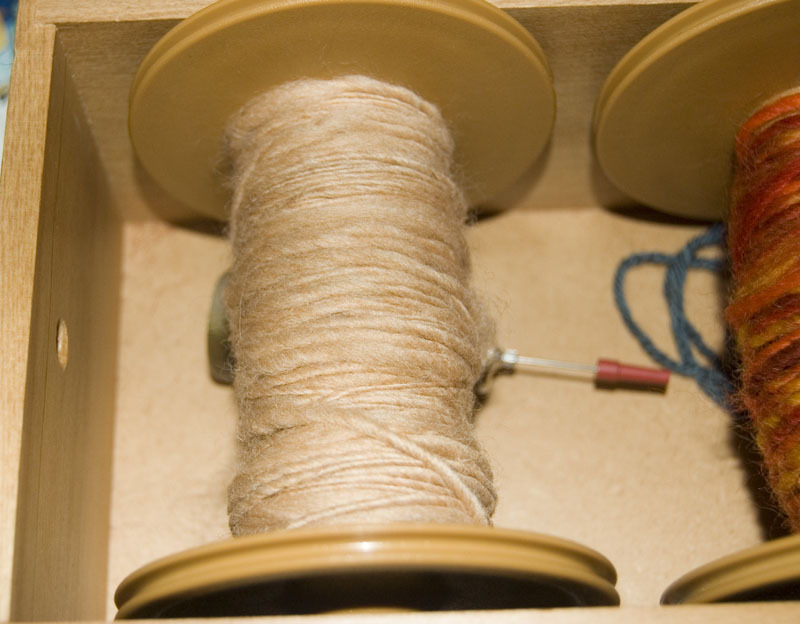 Speaking of spinning... has anyone who spins noticed a problem with it kicking fiber into the air? I moved the wheel into our room to spin when my head is bugging me especially when the boys are playing video games. The problem is that I seem to start sneezing a lot and sometimes have small issues with breathing (not that I can't breathe but that it gets uncomfortable). This wasn't a problem before but then the spinning wheel was out in the living room where we have an air filter going most of the time. I'm wondering if I need to move the wheel back out there though that means less spinning since I have to often retreat to my room when my head gets bad. 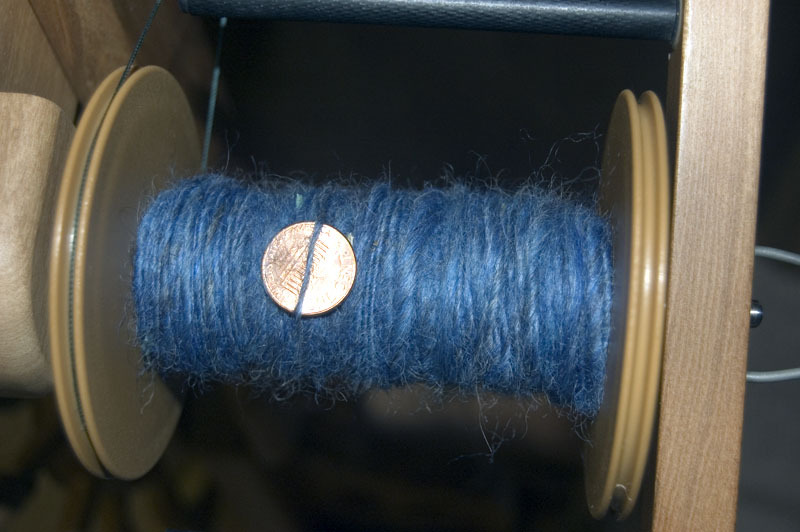 I'm also wondering if its the fiber as I'm still spinning away at the blue fiber and thats a bit different then what I had been spinning before. 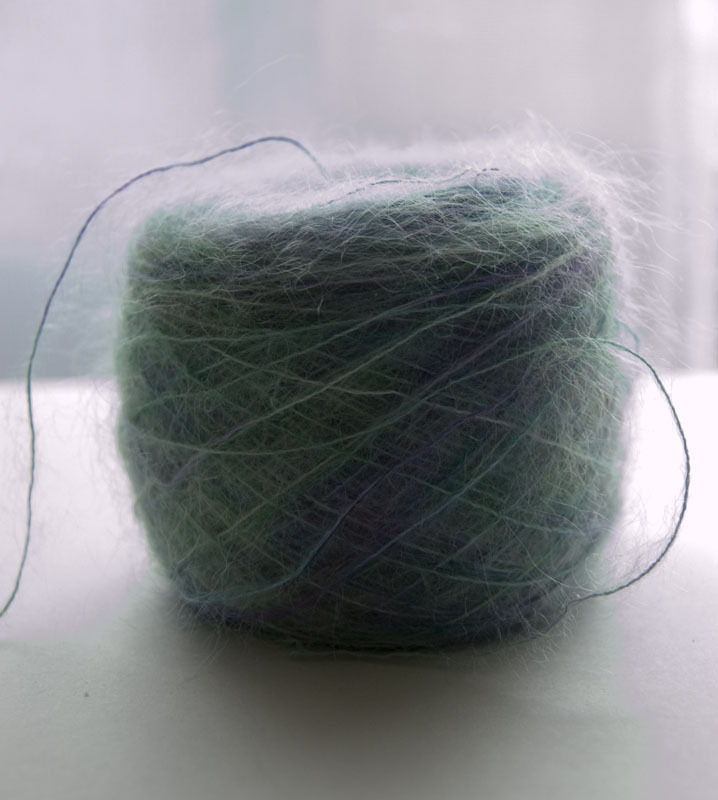 Its still wool but the texture is different and I wonder if it kicks more than the other stuff into the air. So I was having so much with the Wilton's I decided to try handpainting following the directions I found here. The instructions worked out pretty well except she forget to mention (and really this is more my fault because I didn't think it through) that if you use too much of the liquid when you're rolling up the fibers and have it wrapped properly so it can't squirt out the sides it will run ahead of you as you roll and "contaminate" the other colors. I was a little more generous with the dye I guess then I needed to be. I'm just lucky that I didn't end up with a huge mess! 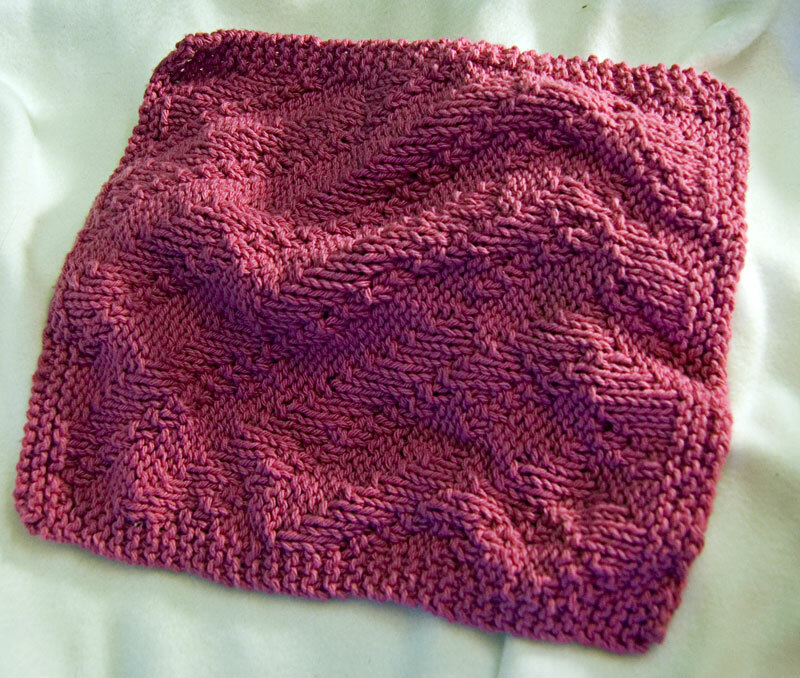 So I really enjoyed the process and thought steaming was even better than the kettle dyeing method. Unfortunately I misjudged the colors and ended up with something that reminds me of Easter which I guess is a little fitting but nothing like I was going for. I used Wilton's Kelly Green, Teal and Golden Yellow and a little bit of Royal Blue on the middle skeins in the picture above. The yellow was more vibrant then I expected while the green and teal were lot more pastel like. Obviously I need to up the dye amount to get the deep shades that I wanted. 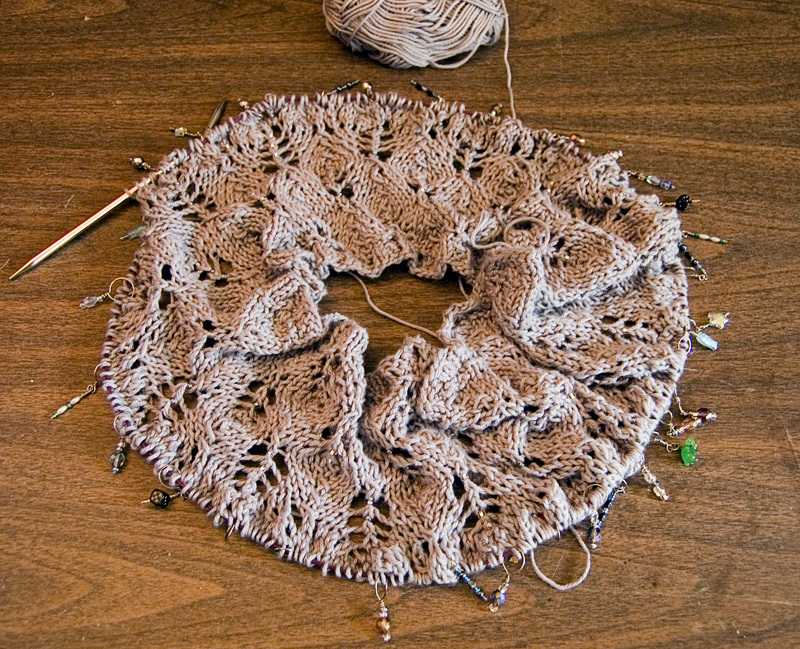 The skein in front in the picture above gets a little closer to what I was hoping for in some sections. The deeper shade of teal in that one middle part what was what I was hoping for. 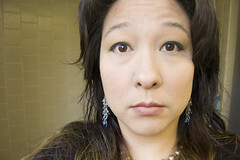 The yellow is just fine (though I somehow ended up with more of it than planned) and the green on the end (left side) is a little closer to the shade I wanted though a little more emerald like would have been better. 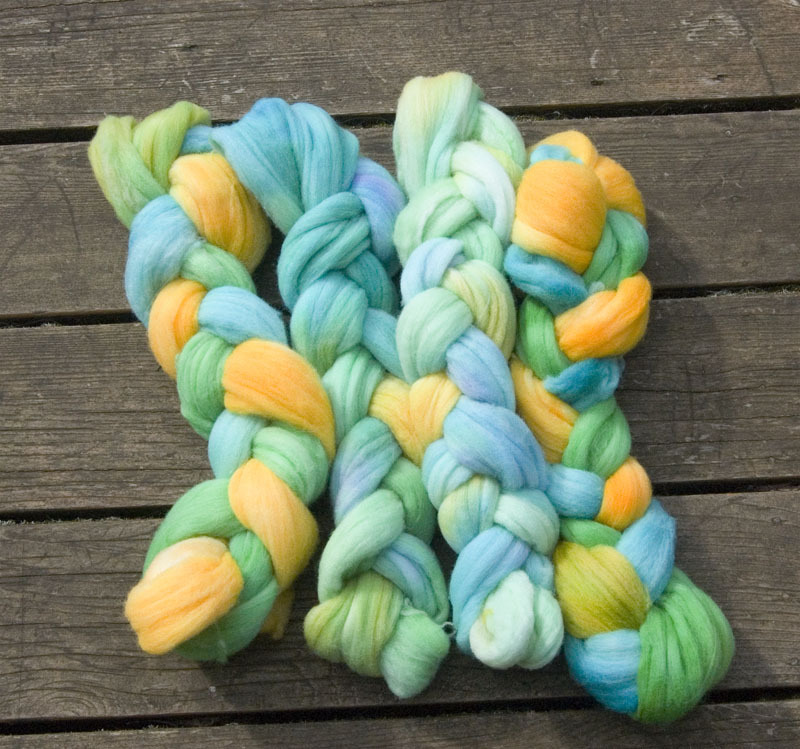 Now the debate is do I keep these colors and see what they're like spun up? 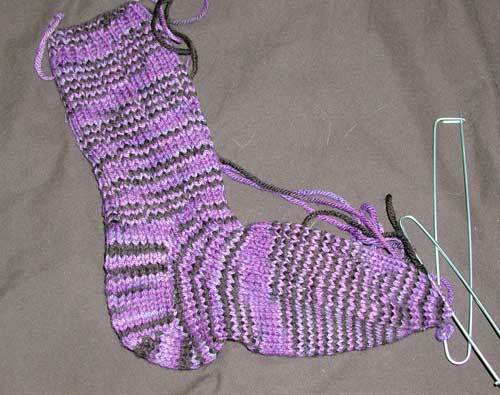 Its tempting but I'm afraid I'll end up doing nothing with the yarn since they really aren't my colors. 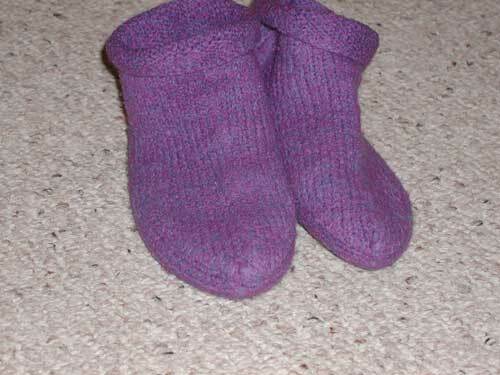 I can try dyeing them again but I'm unsure what that will do and I'd like to avoid turning it muddy or dull. 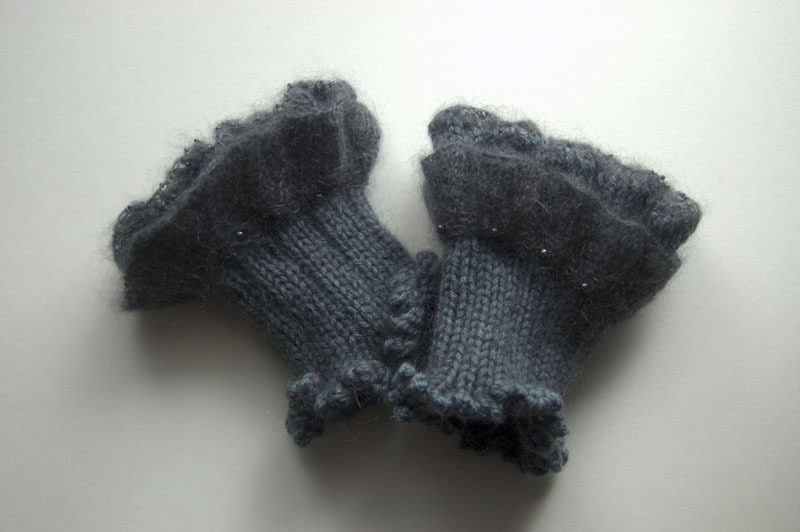 I signed up for a hand paint class at The Knitting Bee tomorrow so hopefully I'll have some better ideas after that. I recently dyed some wool mill ends and wanted to try and experiment with Wilton's black and see what results I would get. A friend of mine had recently played with it and used a different method then I had originally used when I first tried Wilton's so I wanted to try and compare the two methods with the black to see what I would get. 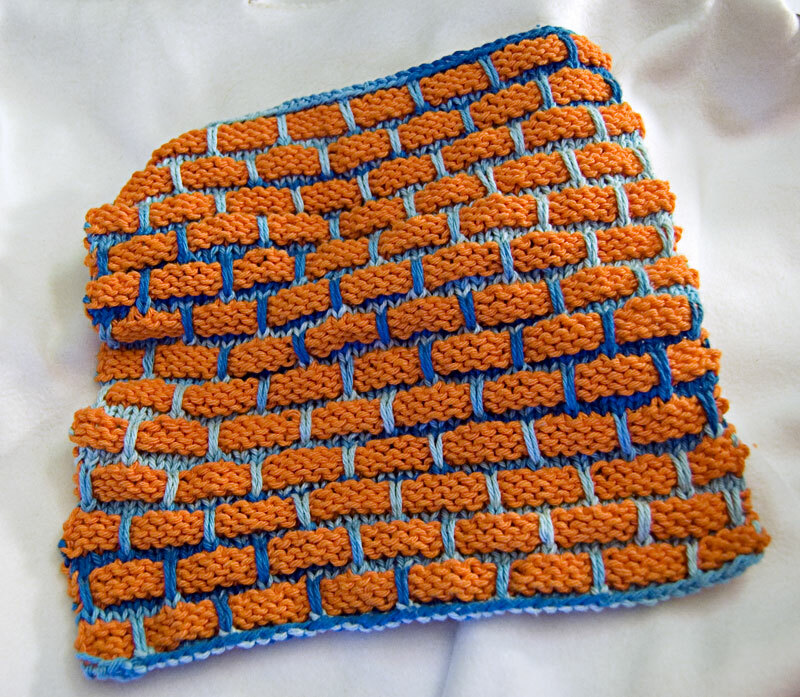 She had loosely followed PieKnits method while I had loosely followed the one found in this blog. I really didn't find much of a difference between using the microwave and the stove but I did find a difference between presoaking the fiber with vinegar and not. In the above photo the two on the left were done in the microwave and the ones on the right on the stove. For the ones on the stove I followed the directions in the blog exactly for both with the only difference being that I presoaked the one on the far right with vinegar. The dye exhausted for both and yet the one that was not presoaked came out very light like a pastel and with very little green. Here's another shot I got outside which may give a better idea of the results. I should have kept them in the same order but I obviously didn't think it through. 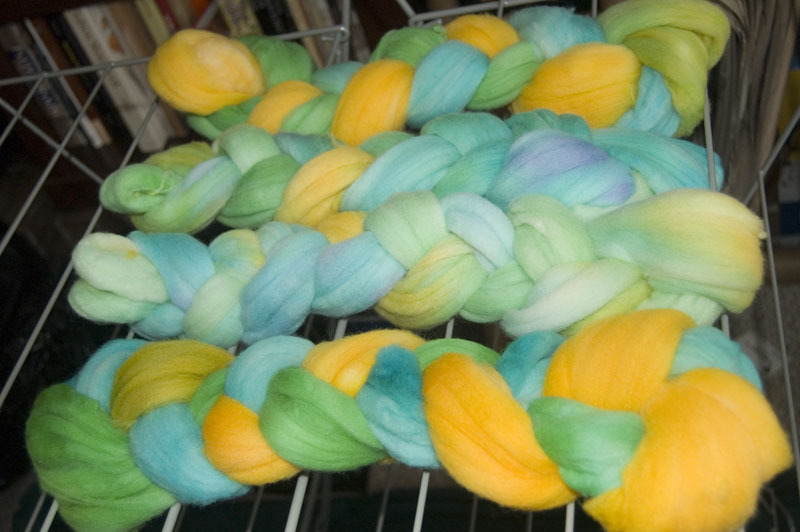 In this shot the two center braids were dyed using the microwave. I started off following the directions exactly with the only difference between whether they were presoaked or not but ran into a problem when the one that was not presoaked in vinegar didn't exhaust the dye. In fact it looked like it had hardly taken any of the dye at all even after I let it sit all night. I ended up adding a glug of vinegar to the mix and redoing the microwave in order to get the dye to exhaust. I would say it ended up similar in tone tone to the other one but for some reason has a lot more greens. Overall the one presoaked in vinegar and dyed on the stove seemed the darkest and I actually found stove dyeing to be much easier than the microwave method. I had planned on doing something similar with Wilton's royal blue but ran out of time and ended up just throwing the fibers together in the pot. The funny part is here the fibers not presoaked with vinegar came out a deeper tone. 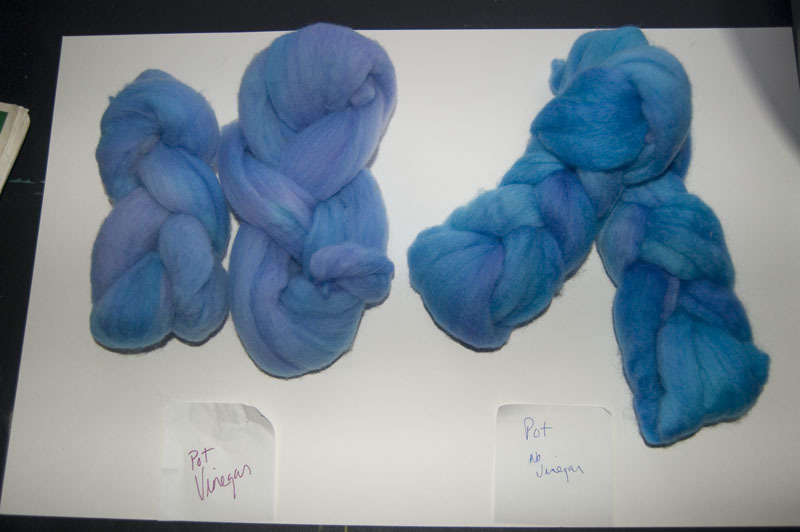 I'm thinking about overdyeing the fibers on the left to see if I can get a similar blue as the one on the right. I'm also thinking about overdyeing the blacks as well with more black to see if I can get a little bit darker and to take out the pastel bits. I had a lot of fun doing this and want to pick up a lot more colors to play with. I tried handpainting yesterday and will need to write up and post the results for that as well. Though I've already uploaded the pics to my Flickr account if you want a peek. Clicked publish now a little too soon. 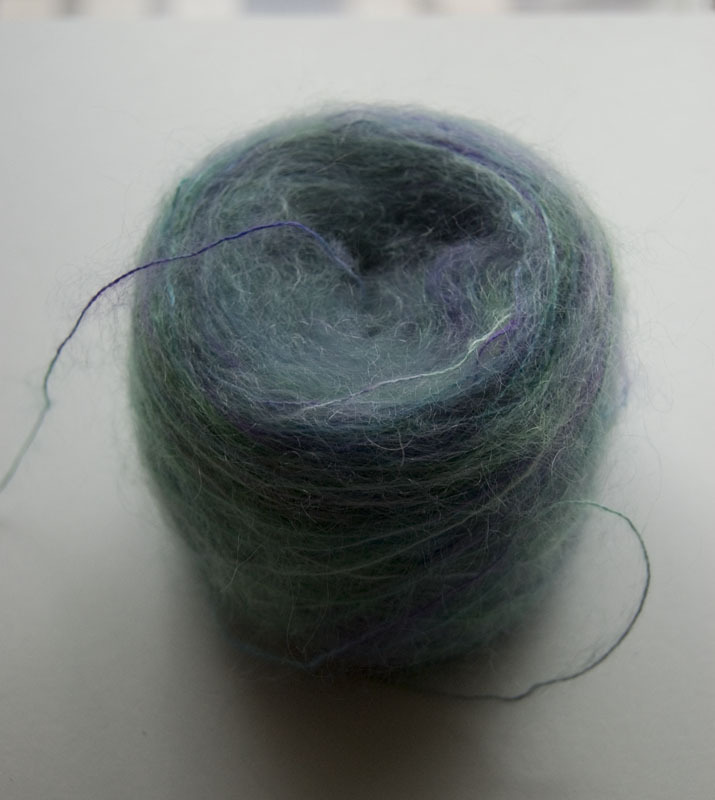 I'm such a space cadet I forgot to include more of my spinning I had wanted to share. I swear spinning is becoming like an addiction for me. I find it a great way to de-stress. I'll probably end up with more than I could possibly use but I'm sure I'll find a way to fix that. 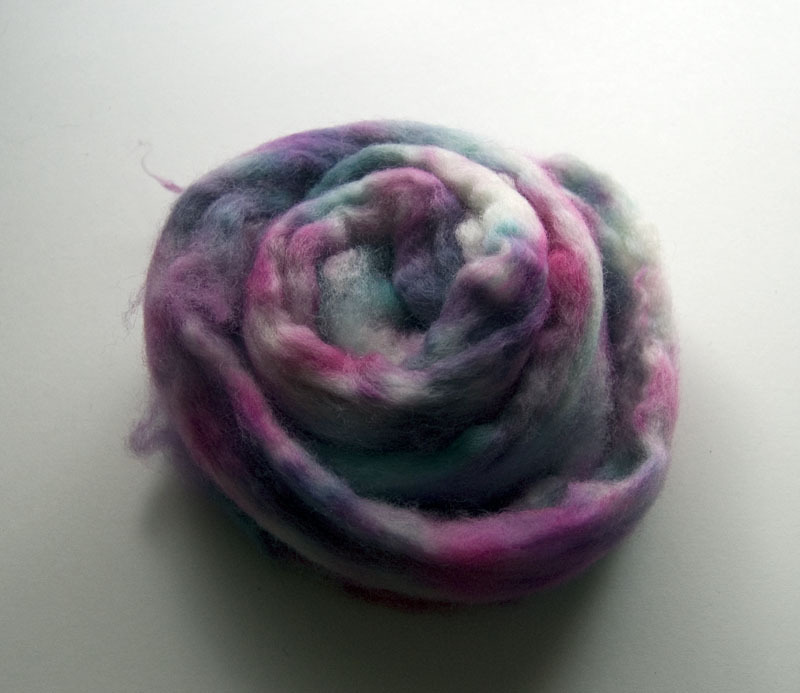 I had some older roving that I had picked up way back when I first got a drop spindle. 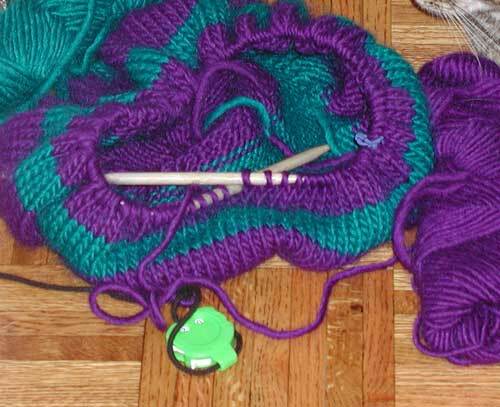 I had about half of it left from when I gave up in frustration on the spindle. 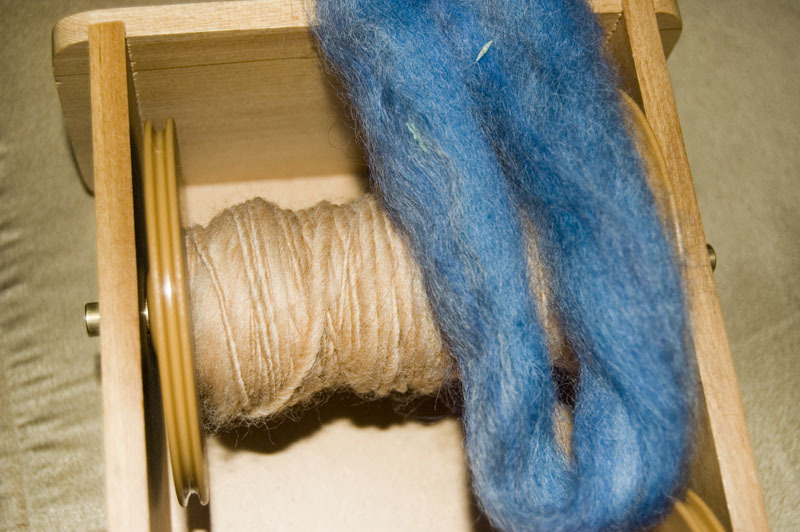 Funny now that I've gotten it on the wheel I think I may try the spindle again some time. I think it was easier to learn on the wheel then the spindle. Anyways, this is the result of spinning that roving, I'm not sure what kind of wool it was just that it was wool and it spun pretty nicely. I was sad to come to end of it. I also had some more fiber, again not sure what kind of wool just that it is wool. (I really should have marked these) Its a bit rougher and has these cool silvery grey streaks through it, I think this was picked up at OFFF last year. This has been even easier to spin a finer strand but I also got quite a few slubs in there from when I screwed up. Its a little more of a faded blue than it shows in the picture. I'm thinking that once I'm done with the blue I may ply it with the beige as I think they might be a nice combo, still debating it though. The blue in this picture is a little closer to the true color.